London-inspired style combined with the quality of the L.A. denim industry informs a chic pair of go-to jeans in a classic skinny cut. Supersoft and shape-maintaining tech denim offers a flattering fit that slims the thighs while lifting the rear. Style Name: Frame Le Color Skinny Jeans. Style Number: 970504. Available in stores. 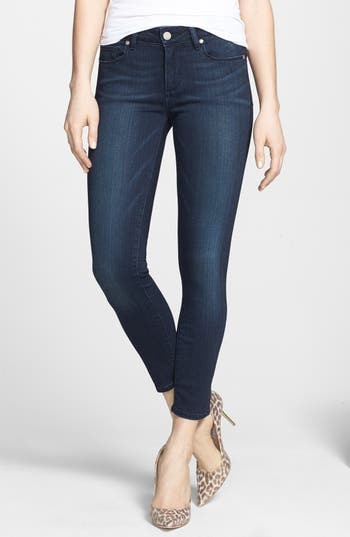 A faded dark wash gives versatile style to flattering skinny jeans that work to microsculpt your figure. Style Name: Dl1961 'Florence' Instasculpt Skinny Jeans (Warner). Style Number: 729411. Available in stores. 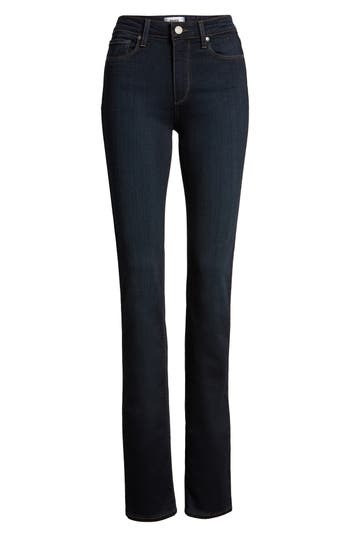 A sleek dark wash colors stretch-cotton jeans cut with a slim bootcut silhouette designed to flatter curvy figures. 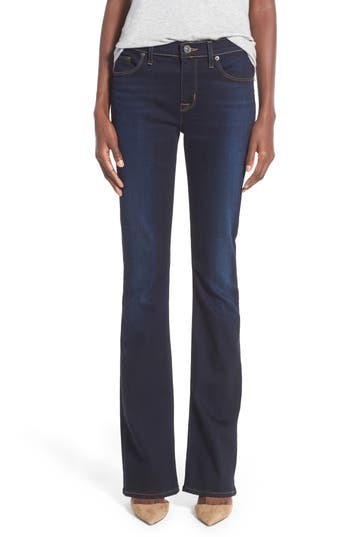 Style Name: Joe's Honey Curvy Bootcut Jeans (Rikki). Style Number: 813649. Available in stores. 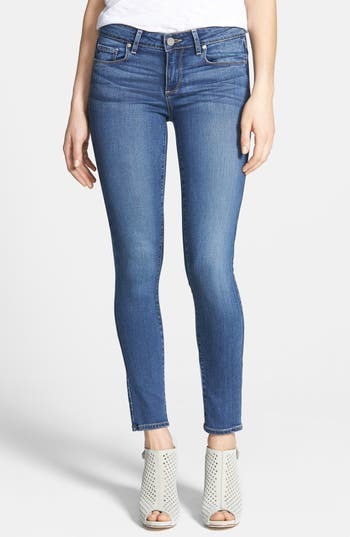 A dusty faded wash and contrast topstitching cleanly style these body-contouring ankle-length jeans. Using the latest in performance-fiber technology, TRANSCEND denim redefines luxury, recovery and comfort with a fabrication that provides a flawless fit without stretching out. Style Name: Paige Transcend - Verdugo Ankle Skinny Jeans (Nottingham). Style Number: 999856. Available in stores. Whiskered and weathered denim adds well-loved dimension to these easy cropped jeans cut in a slightly slouchy boyfriend-style silhouette. 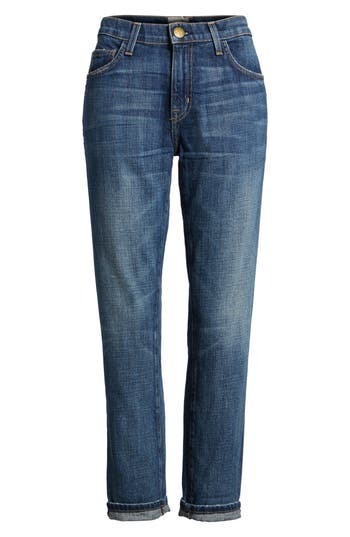 Style Name: Citizens Of Humanity Emerson Slim Boyfriend Jeans (Blue Ridge). Style Number: 367729. Available in stores. A deep black shade enhances the versatility of super-skinny jeans topped with a high-rise waist. Using the latest in performance-fiber technology, TRANSCEND denim redefines luxury, recovery and comfort with a fabrication that provides a flawless fit without stretching out. 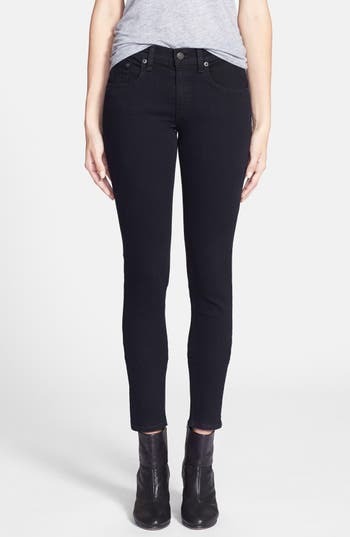 Style Name: Paige Transcend - Hoxton High Waist Ultra Skinny Stretch Jeans (Black Shadow). Style Number: 795799. Available in stores. Slim straight-leg jeans cut from ultra-stretchy denim are whiskered and hand-sanded for a soft fade that accentuates the dark blue rinse. Light topstitching and goldtone hardware further elevate the versatile style. Style Name: Dl1961 'Grace' Straight Jeans (Moscow). Style Number: 1000334. Available in stores. 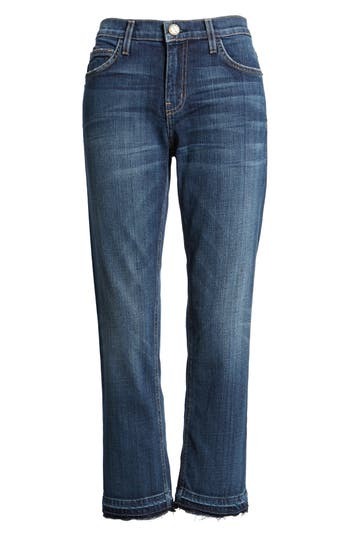 A saturated wash with tonal topstitching lends sleek polish to slim, stretch jeans with four-pocket styling. 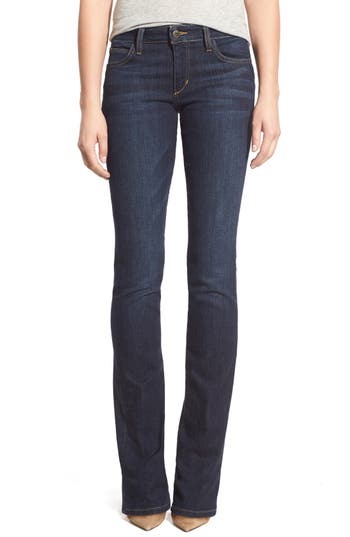 Style Name: Lafayette 148 New York Curvy Fit Jeans. Style Number: 573309 1. Available in stores. Heavy fading and whiskering lend a well-loved look to ankle-cropped skinny jeans perfect for showing off your fabulous footwear. 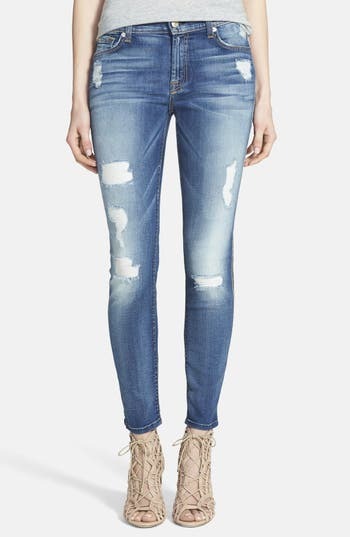 Style Name:7 For All Mankind Ankle Skinny Jeans (Distressed Authentic Light). Style Number: 906185 7. Available in stores. Skinny jeans cut to ankle-grazing length from feel-good organic cotton are infused with stretch comfort and garment-dyed for extra softness. 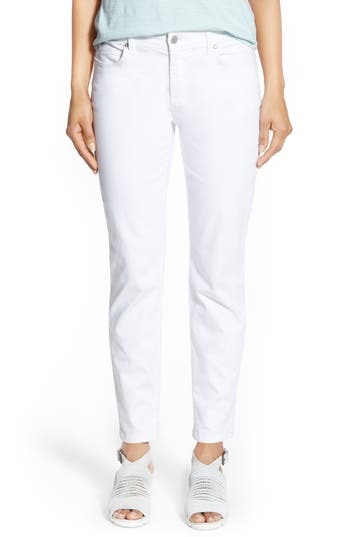 Style Name: Eileen Fisher Garment Dyed Stretch Ankle Skinny Jeans (Regular & Petite). Style Number: 835203. Available in stores. An allover dark wash is complemented by contrast stitching and a hint of whiskering, leaving the spotlight to shine on the precise fit of these stretch skinny jeans. 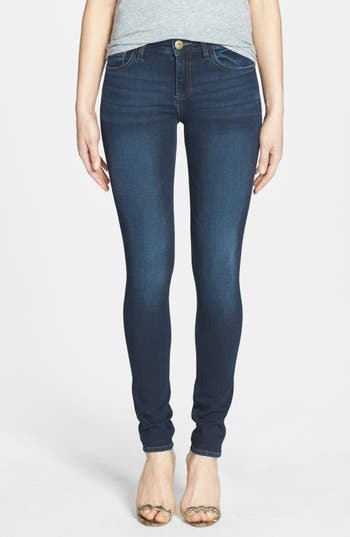 Style Name: Rag & Bone/jean Skinny Stretch Jeans (Bedford). Style Number: 1136490. Available in stores. Golden topstitching lends beautiful contrast to the deep indigo wash of refined jeans that fit slim through the waist and hips before breaking into a flattering bootcut leg below the knees. The waistband is contoured to sit slightly higher in the back for a super-comfortable fit. 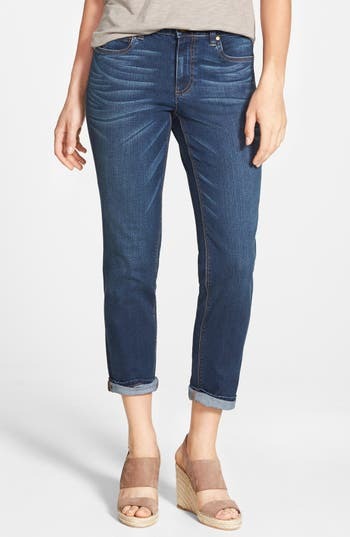 Style Name: Hudson Jeans Love Bootcut Jeans (Redux). Style Number: 5063148. Available in stores. 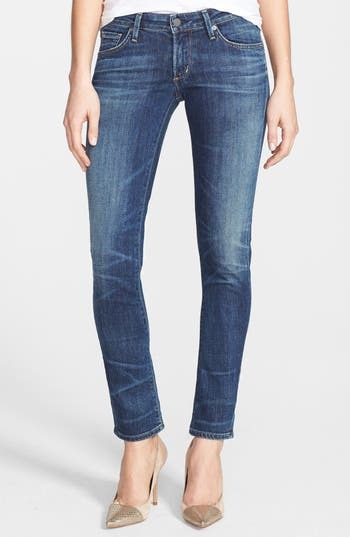 Allover whiskering gives a cool, well-loved look to essential weekend jeans cut in a svelte skinny silhouette. Style Name: Citizens Of Humanity 'Racer' Whiskered Skinny Jeans (Patina). Style Number: 967246. Available in stores. Easygoing high-rise jeans are fashioned from slightly faded dark-wash denim woven with a touch of comfortable stretch. 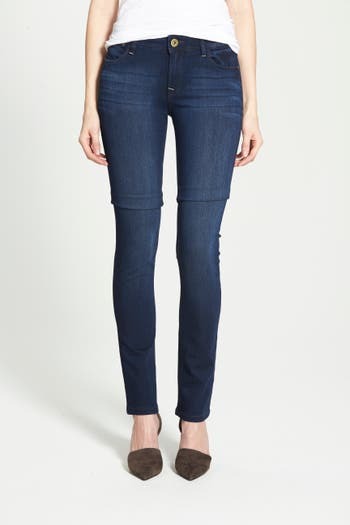 Style Name: Ag The Farrah High Waist Skinny Jeans (Brooks). Style Number: 853095. Available in stores. Tonal topstitching and a perfectly faded dark-blue wash create a polished look in cropped skinny jeans crafted from performance-fiber TRANSCEND denim that provides a hint of stretch with incredible shape retention. 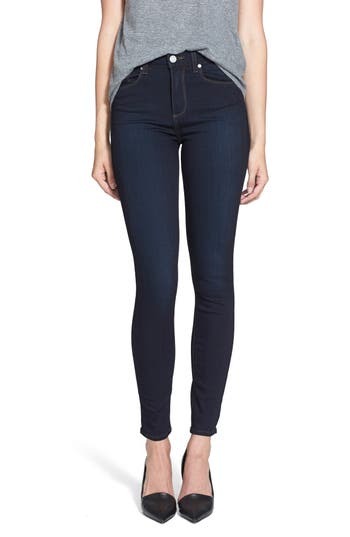 Style Name: Paige Transcend - Verdugo Crop Skinny Jeans (Midlake). Style Number: 723673. Available in stores. Raw-edge hems and a faded blue wash give these cropped straight-leg jeans a lived-in, no-fuss look. Style Name: Current/elliott The Cropped Straight Released Hem Jeans. Style Number: 484219. Available in stores. 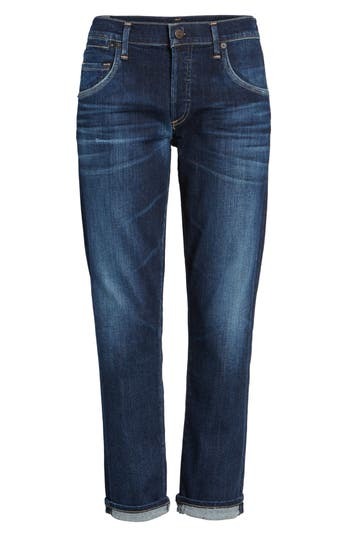 Cleanly styled jeans are cast in a rich dark wash and cut for a slim fit that flares below the knee. Using the latest in performance-fiber technology, TRANSCEND denim redefines luxury, recovery and comfort with a fabrication that provides a flawless fit without stretching out. 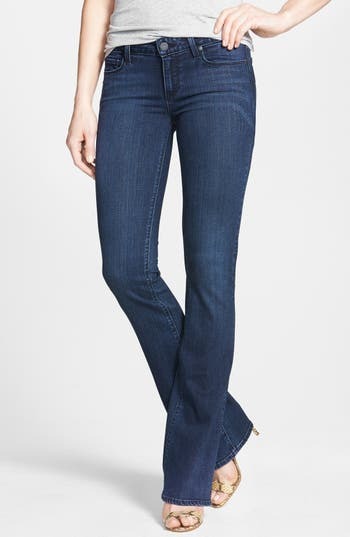 Style Name: Paige Transcend - Skyline Bootcut Jeans (Valor). Style Number: 879536. Available in stores. Light contrast topstitching adds sophisticated detail to dark-wash jeans cut for elongated, straight-leg silhouette. Using the latest in performance-fiber technology, TRANSCEND denim redefines luxury, recovery and comfort with a fabrication that provides a flawless fit without stretching out. 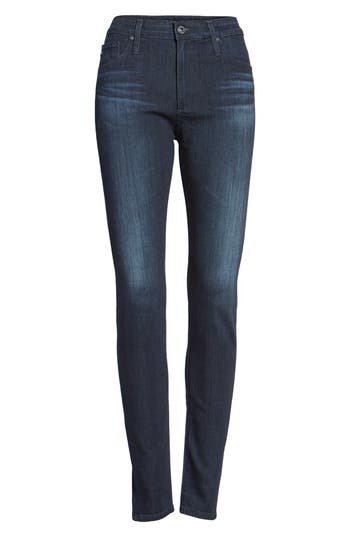 Style Name: Paige Transcend - Hoxton High Waist Straight Jeans (Mona). Style Number: 794613. Available in stores. 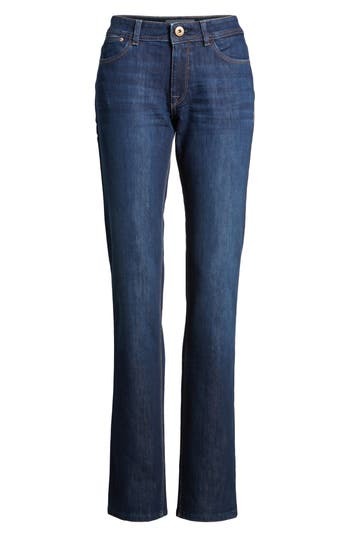 Endlessly stretchy denim shapes a pair of inky mid-rise jeans cut in an ultra-svelte silhouette. Using the latest in performance-fiber technology, TRANSCEND denim redefines luxury, recovery and comfort with a fabrication that provides a flawless fit without stretching out. 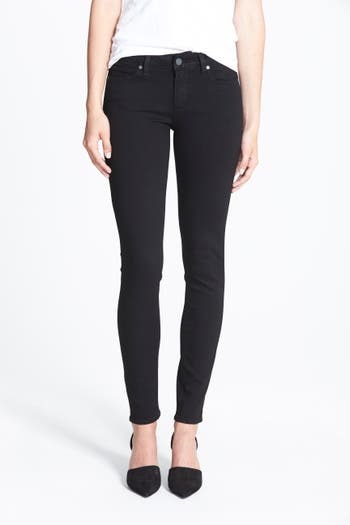 Style Name: Paige Transcend - Verdugo Ultra Skinny Jeans (Black Shadow). Style Number: 795787. Available in stores. 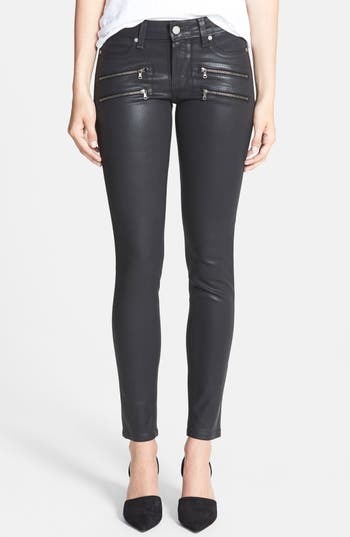 Front zipper details offer edgy appeal to hand-coated, leather-like skinny jeans in a deep black hue. 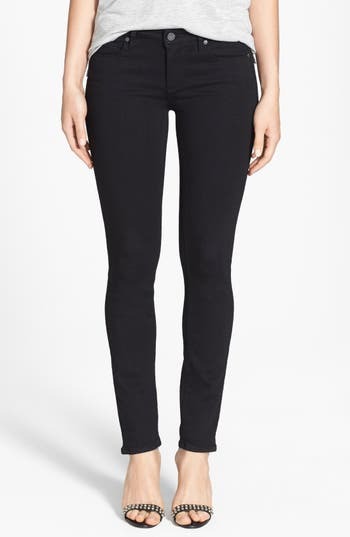 Style Name: Paige 'Edgemont' Coated Ultra Skinny Jeans (Black Silk). Style Number: 795779. Available in stores. Bold whiskering and fading style these versatile skinny jeans cut from body-contouring stretch denim in an ankle-grazing silhouette. Using the latest in performance-fiber technology, TRANSCEND denim redefines luxury, recovery and comfort with a fabrication that provides a flawless fit without stretching out. Style Name: Paige Transcend - Verdugo Ankle Skinny Jeans (Tristan). Style Number: 86989. Available in stores. A dark indigo wash with golden topstitching gives throwback flair to supersoft high-waisted skinny jeans. Using the latest in performance-fiber technology, TRANSCEND denim redefines luxury, recovery and comfort with a fabrication that provides a flawless fit without stretching out. 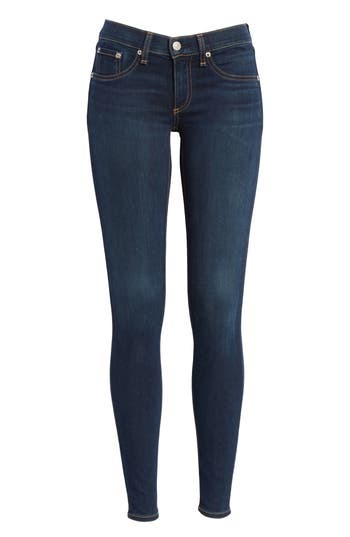 Style Name: Paige Transcend - Hoxton High Waist Ultra Skinny Jeans (Mona). Style Number: 829192. Available in stores. A lithe silhouette lends vintage style to dark-wash jeans woven with just the right amount of stretch. 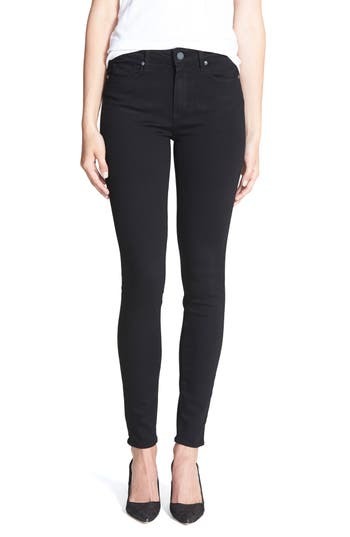 Style Name: Rag & Bone/jean 'The Skinny' Stretch Jeans (Coal). Style Number: 100905 3. Available in stores. 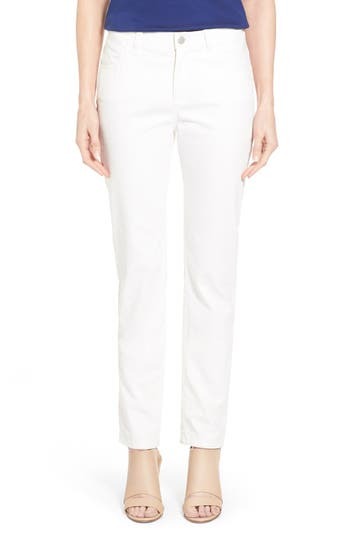 Spring colors will pop against these gleaming white jeans in a classic skinny cut with five-pocket styling. 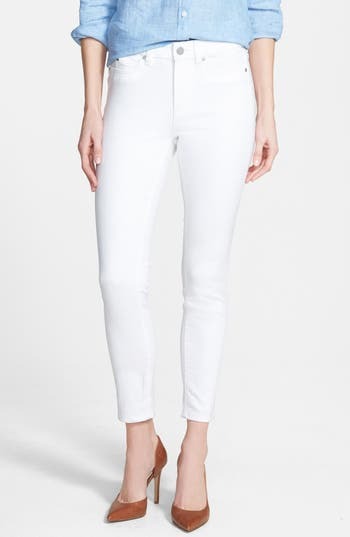 Style Name: Vince Camuto Skinny Jeans (Ultra White). Style Number: 1021703. Available in stores. Coppery topstitching and gentle fading underscore the old-school look of durable boyfriend jeans designed to be extra slouchy through the seat, down to the casually rolled hems. Style Name: Current/elliott 'The Fling' Boyfriend Jeans (Loved). Style Number: 1048831. Available in stores. 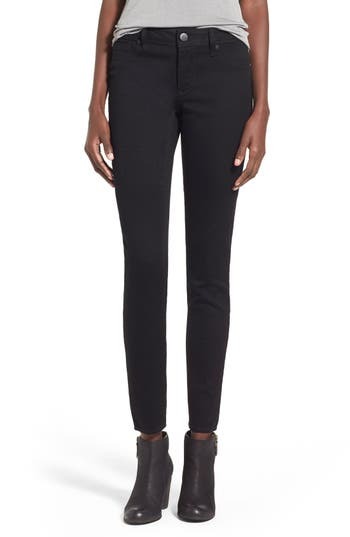 High-waisted jeans in a cool black wash boast a versatile straight-leg silhouette underscored by an elongated inseam. Using the latest in performance-fiber technology, TRANSCEND denim redefines luxury, recovery and comfort with a fabrication that provides a flawless fit without stretching out. Style Name: Paige Transcend - Hoxton High Waist Straight Leg Jeans (Black Shadow). Style Number: 1059801. Available in stores. Cuffed hems complete the laid-back look of slim, stretchy boyfriend jeans accentuated by subtle fading and soft whiskering. 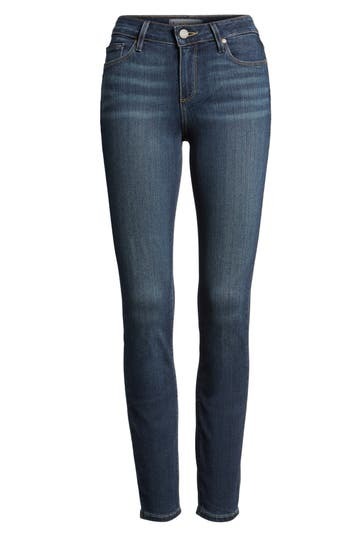 Style Name: Two By Vince Camuto Stretch Boyfriend Jeans (Authentic). Style Number: 1122780. Available in stores.